I never really had too much of an issue with my skin as a teenager, just the usual spots around my T-zone. Since I've been in my 20's though, my skin has become a lot worse. I noticed I was getting spots on my cheeks too, which is very odd for me. My skin has become more acne prone and also more scarred. I decided I really need to take more notice of my skin and looking after it. The first step in helping getting your skin healthy is putting your finger on what type skin you have. This can be tricky, I assumed I had oily skin as I was getting spots, but really I think I have more dry/combination. Having dry skin can make you acne prone too. One you've pin pointed what type of skin you have, you can start to work out what your skin needs. I have combination skin, so this means I can have dry skin at times and my skin needs more moisture and water but also I can get oily skin too, so my skin wouldn't benefit from any deep moisturising. Every skin type will benefit from drinking lots of water, getting enough sleep and eating a well rounded balanced diet, but we can also help our skin with our skincare products. 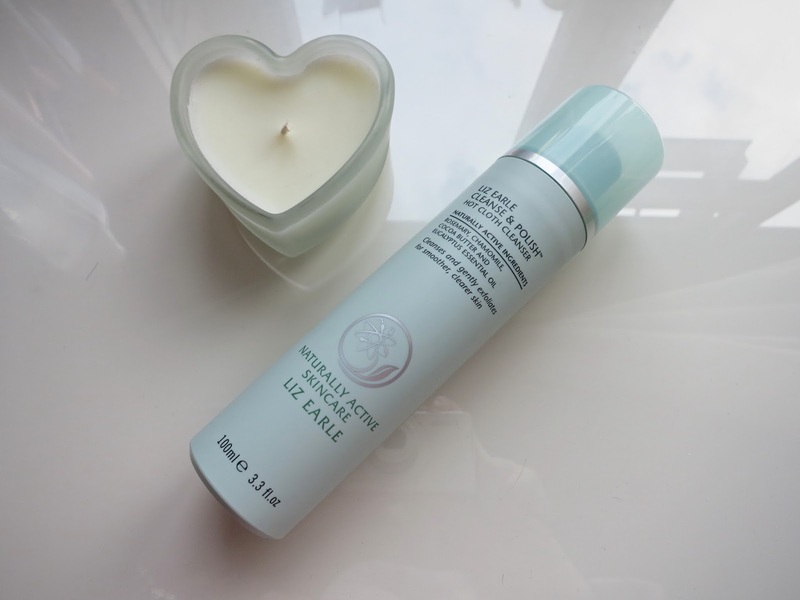 The first step of my routine is to cleanse, and I have gone back to an old cleanser I used to use Liz Earle Cleanse & Polish Hot Cloth Cleanser £15.50. 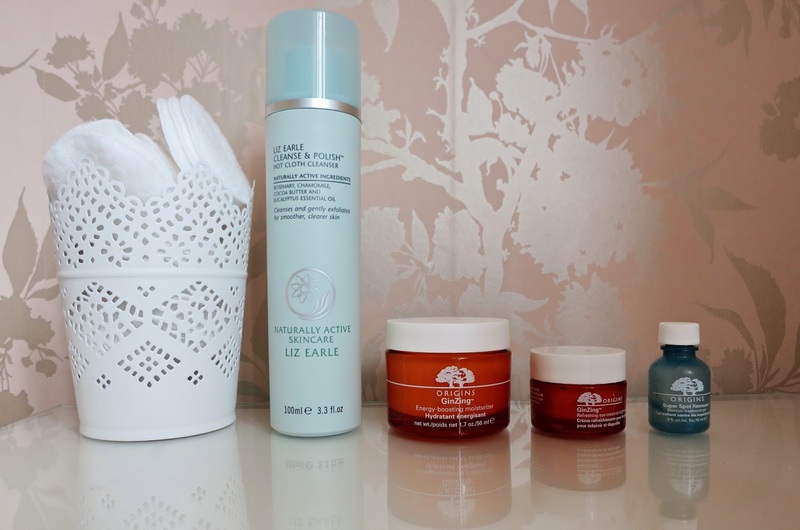 I used the Liz Earle cleanse tone and moisturise products a couple of years ago but didn't get on with it and I was so disappointed! All I heard was amazing things about Liz Earle and I couldn't believe it wasn't working for me. It was making my skin feel more oily and now I have realised it was because I used the moisturiser for oily skin, which now I have discovered my skin is more combination. So I went back and tried the cleanser on it's own and I love it. Its so soft and creamy. It really cleanse deep and makes you feel like you've been at the spa every single time. I apply the cleanser on to dry skin and massage in for a minute or two. Then I get a Liz Earle muslin cloth and run it under the hot tap, ring out and polish off the cleanser. My skin is left feeling fresh, clean and clear. The next step I take is to moisturise. I skip the tone step because every time I have introduced a toner into my routin,e I haven't noticed any change, if anything they make my skin feel more dry/tight. It's common belief that if you suffer from acne or have oily skin, you shouldn't moisturise as it just adds to this. In fact this is the worst thing you can do, you are best to find a moisturiser for your type of skin. 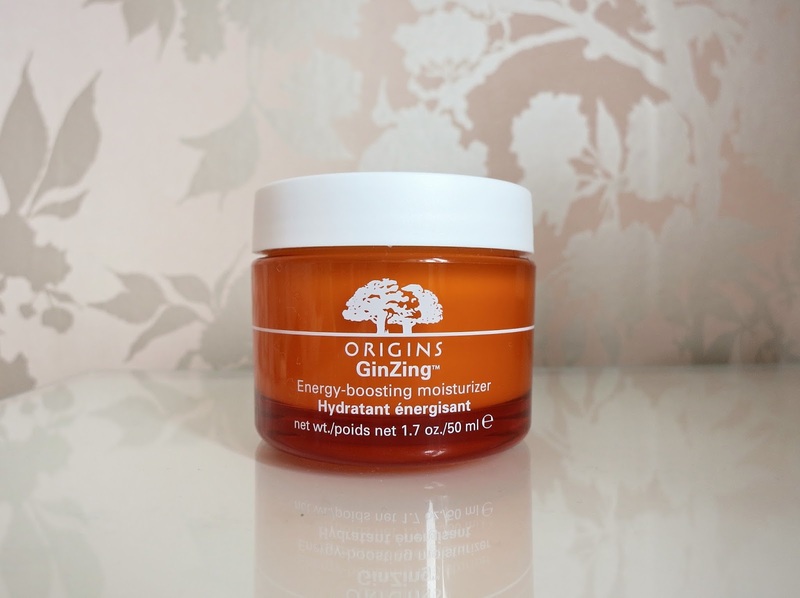 I have found my moisturiser, Origins GinZing Energy Boosting Moisturiser £24. This is a gorgeous lightweight, refreshing moisturiser, perfect for my troubled skin. It's not too heavy and is oil-free so it wont leave you feeling more greasy than before! It contains Panax Ginseng and Coffee Bean to hydrate your skin and give you a refreshing boost in the morning. I love the citrus/orange scent, it leaves you feeling revitalised and ready for the day. I really recommenced this to anyone who is finding it hard to find a good moisturiser for their combination skin that doesn't leave your skin feeling oily or dry. 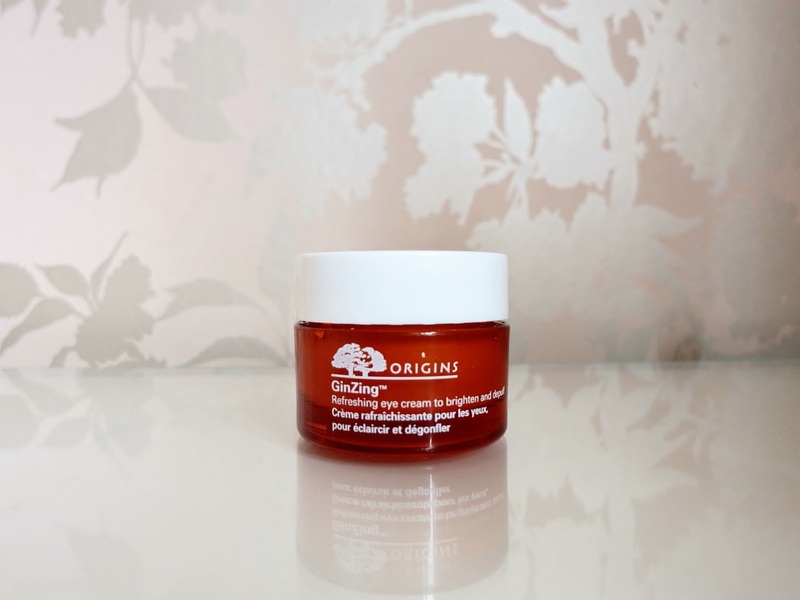 I also use Origins GinZing Eye Cream £20, just like the moisturiser this is perfect for brightening and refreshing. I use this mostly in the morning to give my under-eyes a bit of a boost and to get rid of that grogginess, this is the perfect eye cream to instantly reduce puffiness and dark circles as well as brightening the eyes. This also contains Caffeine, Coffee Beans and Panax Ginseng as well as Magnolia Extract to add to the brightening ingredients. My eyes have been sensitive sometimes and this hasn't irritated them in the slightest, I really recommend this to anyone with sensitive eyes and also puffiness. We all have those days when our skin decides to fail us and give us a load of fresh angry spots, usually right before a date night, interview or girls weekend! Origins Super Spot Remover £15 is my best friend when this happens. I just pop this on any red looking nasties and I can instantly see and feel the reduction. 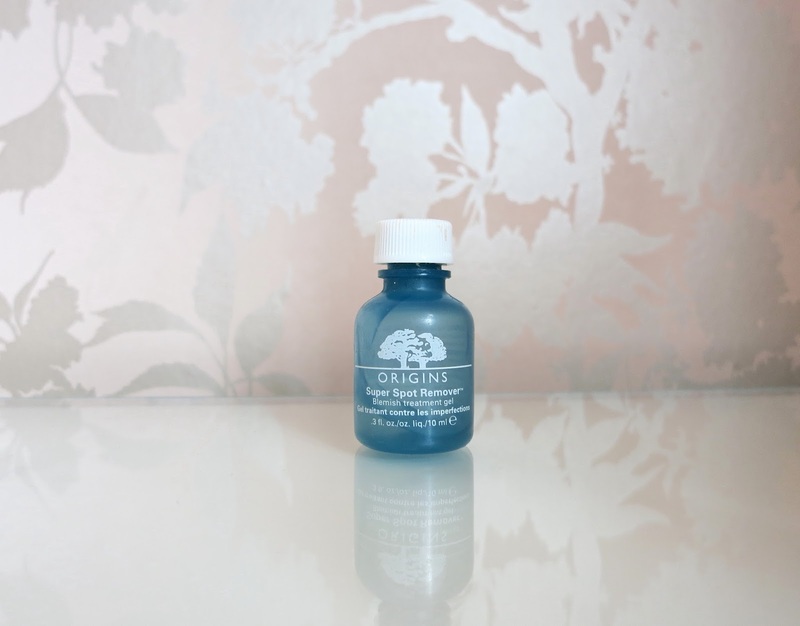 Salicylic Acid is used to instantly start healing the blemish whilst Caffeine and Red Algae are there to calm and soothe your skin, reducing redness and irritation. Of course the spot doesn't just instantly disappear, but this really does reduce my spots dramatically pretty instantly, I really recommend trying this one! I may not use all the added extras that are thrown at us these days, but this routine has done me good the last few months and I really have seen an improvement in my troubled skin. I hope this can help anyone with their problem skin.